Home » Community » A Spring Fling cause – the Holy Trinity Catholic School playground! 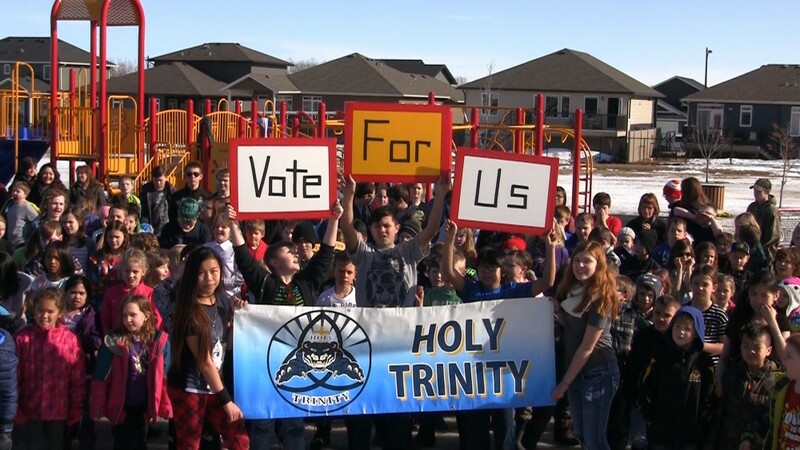 A Spring Fling cause – the Holy Trinity Catholic School playground! The Holy Trinity school board and ROAR Fundraising, along with the parents and teachers of the school, have banded together to raise money for expanding their playground. The school’s current playground, while a great structure, is grossly inadequate for the sheer number of students Holy Trinity has grown to accomodate. In addition to providing the students with addition equipment, the community of Olds will also benefit. Playgrounds help everyone to get the activity they need, and the parents of families of the surrounding neighbourhood will also be able to make use of the proposed additions. Get your tickets now for Spring Fling 2016 and support the cause in Olds on April the 8th! Enjoy an evening of food, fun and activities and help us chase away the winter!